Headlies: Heath Slater Drafted To Saturday Morning Slam - WrestleCrap - The Very Worst of Pro Wrestling! Anchorage, AK – WWE Superstar Heath Slater was finally drafted this weekend and will become the new star of Saturday Morning Slam. Initially, Slater had gone undrafted by bother the Raw and Smackdown brands, leaving him without a place to wrestle. His luck changed, though, when he received an email from Saturday Morning Slam’s new General Manager saying that he had been drafted. The GM sent Slater a plane ticket that took him to Anchorage, Alaska, the new permanent home of Saturday Morning Slam. A small television screen turned on with Daniel Bryan appearing on screen via satellite. “Hey, buddy. Glad to see you made it. Hope the 20-hour flight wasn’t too bad.” said Bryan. “I won’t let you down, boss! I will make you proud to be the general manager of Saturday Morning Slam!” said Slater while rummaging around the rink’s snack bar for a hot pretzel. “Well, if you’re not the GM than who is?” inquired Slater, while tearing open a mustard packet with his teeth. “He should be there right now,” said Bryan. Slater squinted as a shape began to appear in the distance. He accidentally squirted mustard all over himself when he realized that the new general manger was none other than a real, live grizzly bear. “You should’ve known that SMS is also known for bears!” said Bryan before signing off. Saturday Morning Slam is set to make it’s debut on Saturday, September 3rd if Heath Slater survives until then. 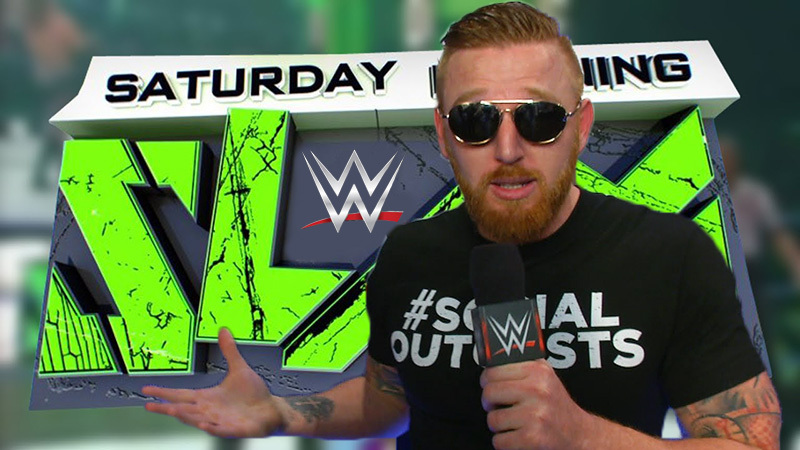 10 Responses to "Headlies: Heath Slater Drafted To Saturday Morning Slam"
1. In that photo, Heath looks like he could be Bobby Fish’s (ROH) twin. WWE makes the transition from Ce-nation to Hiber-nation. Totally had me fooled. I thought Saturday Morning Slam was a real show. That’s something that could only come from Vince’s mind. But seeing the comments above, I guess it’s not real. Though you know, if DB calls him the Spazzler, Slater should come up with a better finisher. Something called the Razzle Dazzle. A set up for that move would be the Spazzle Dazzle. So think a CM punk Shining Wizard followed up by whatever his finisher is. Try also saying it three times fast. The razzle dazzle from the Spazzle. Saturday Morning Slam was a real show. R.D. did a weekly recap of it. It was an hour long and featured a more kid friendly mindset (like 8-10 years old). It was a real series, WWE’s wildly pitched attempt at a kid-friendly wrestling show. 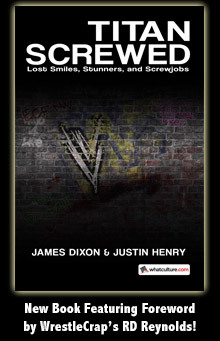 Wrestlecrap ran a series of reviews of it at the time. Must be said, when wwe.com ran a piece last week about how as a free agent Slater could appear in places like EVOLVE and the UK indies, I did wonder what Cody Rhodes, who just walked out of the company and has since booked appearances in EVOLVE and the UK indies, would think of it. Ah, Saturday Morning Slam. A shame it went down with the cartoons that followed. INDUCTION: The Lost AWA Team Challenge Pilot – The Gagnes warp into the future!